The 2019 GMC Sierra 1500 might just be the perfect example of a truck whose time in the sun might just be arriving soon. Okay, maybe not the 1500 alone, but the GMC lineup as a whole. Accused of passing through invisibly amidst the barrage of Ford, Chevy and RAM trinity-styled propaganda wars, GMC also faces constant invasion from the likes of Toyota, Nissan and Honda looking to redistribute existing slices of pie. That said, it would appear that GMC is no longer content with being the easy-to-overlook cousin on the segment. Judging by the Sierra alone, it’s clear that GMC has no intention of resting on their laurels. Ask yourself, when was the last time you took a good, long look at the Sierra? Because the Sierra is more than just an upmarket version of the Silverado and boasts a personality all its own. Select which of the three available cab and bed configurations best suits the unique demands you place upon a truck. Choose from the five available powertrains. Opt for any of the six available trim options, ranging from the “get the job done” base model, to the “work in style” Denali. No matter what you want in your next truck, there is a GMC Sierra just for you. In broad strokes, the Sierra 1500 is available in either 2 -or- 4WD with a variety of cab & bed configurations (to be discussed below). It is served up in the following trim levels: most accessible is the (base) Sierra, followed by the motivational SLE, SLT, aspirational Elevation trim, AT4 and luxury-inspired Denali trims. On the low-end, the starting price for the Sierra comes in around $37,800 MSRP depending on configuration. Moving up to the Denali trim, the starting price point is around $54,700 MSRP, based on the same restrictions. That said, there are such special editions as the Limited, and Next Generation variants in addition to the even more capable Sierra HD. And if you’re looking for something a little more modest, the Canyon might be a better fit. That said, we’ll continue to look primarily at the 1500 as the focal point of this piece. Depending on the configuration and trim level chosen, the Sierra 1500 could be powered by any of the following five options. The 4.3-liter EcoTec3 V6 engine is paired with a 6-speed automatic transmission, and channels 285 hp with 305 lb-ft of torque. The 2.7-liter Turbo Engine is mated to an 8-speed automatic transmission, delivering 310 hp and 348 lb-ft of torque. The 5.3-liter EcoTec3 V8 mirrors the transmission pairing of its V6 counterpart but pushes out an impressive 355 hp with (an equally impressive) 383 lb-ft of torque. These numbers are echoed on its DFM variant, equipped with Dynamic Fuel Management Technology. And finally, the 6.2-liter EcoTec3 V8 is paired with a 10-speed automatic transmission, and channels 420 hp and 460 lb-ft of torque, making for quite a compelling offer. No matter which powertrain you choose, a properly-equipped Sierra is prepared to go head to head with pretty much everything you can throw at it. Discussion of all things cosmetic, or anything superficial-in-nature can prove interesting due to the subjective nature of perspective. In terms of vehicle design, it explains why some car-buyers are partial to a particular body style, while others might hate it. Always benefiting from the same advances as their corporate cousin, Chevy, GMC has always faced the challenges of retaining that on-brand sensibility of GM, while finding a means of setting themselves apart from competitors. Bottom-line, the Sierra is both a confidently and well-designed example of a modern truck whose exterior design conveys no desire to be anything else. This isn’t a truck made to ride like an SUV, or to emulate the aesthetic of a big rig. Its unapologetic approach feels bold among a number of ‘beta’ offerings out there. With its bold grill options and in-your-face front fascia the Sierra makes an instant first impression. And while not present on every trim, the contoured body of the Next-Gen Sierra shows you how much a tapered look can help to enhance the sense of athleticism. If opting for the Crew Cab (which seats up to 6 passengers) you have the option of choosing either the short (69.9-inch) or standard (79.4-inch) box. The Double Cab (which also seats 6 passengers) comes only with the standard box. As mentioned above, the Sierra’s sense of self-awareness extends to its interior, with its design purposeful in its desire to convey that it is, in fact, a truck. But any insistence to the point should never be misinterpreted as a sacrifice of comfort. In that sense, the Sierra is impeccably designed, converting the sense of refinement, and evocation of luxury that GMC aspires to. Strong choices made in terms of materials and overall dimensions speak to the ample thought put into its design. In terms of the cockpit itself, the seating is comfortable and positioned to create a genuine sense of ‘command’ status for the driver, regardless of whether bucket or split-bench style seating is selected. In fact, while the Sierra proves more-than-comfortable for any of the (up to 6) passengers, it always conveys a clear sense of being a Driver’s truck. With that in mind, the overall aesthetic of the control panel speaks the same sensibility, intuitively designed and favoring simplicity and functionality over extravagance. The Sierra also offers an array of options Safety and Assistive Driver Features, including (but not limited to) Low-Speed Forward Automatic Braking, Forward-Collision Alert, Lane Keep Assist, as well as Front-and-Rear Park Assist. If opting for the Crew Cab with short bed, max payload numbers come in around 1,950 LBS with a 6,500 max trailering capacity. The standard bed will up these numbers to 2,140 and 12,100 LBS respectively. If choosing a properly-equipped Double Cab, max payload goes up to 2,160 LBS with up to 12,200 LB towing capacity (depending on configuration). 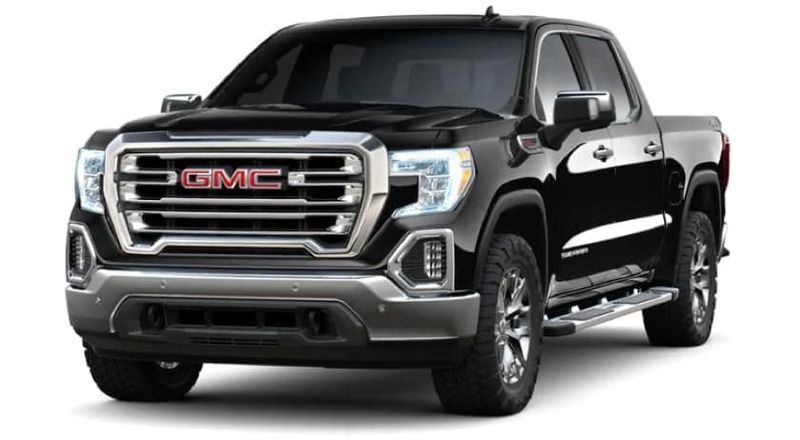 Is the 2019 GMC Sierra 1500 Right For You? 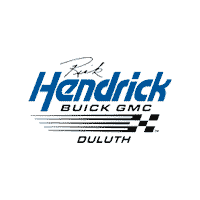 The choice is yours, but if you’re ready to find out once and for all we at Rick Hendrick Buick GMC Duluth would be glad to help. With our diverse selections of new and used Sierra, we might just find the perfect fit for you, as well as one that fits the unique demands of both your lifestyle and your budget. If you’re in the market for a new truck, or are simply interested in making a change, why not check out the best-kept secret in town, the GMC Sierra 1500.